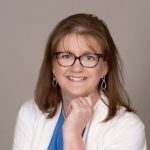 Catherine Lundberg, CPA — founder and owner of Freedom Accounting Services — is a certified QuickBooks Online Proadvisor providing accounting services to start up and small to mid-sized businesses. She focuses in managerial accounting and technology and also offers bookkeeping services, payroll support, and QuickBooks solutions. Work For Freedom Accounting Services? Claim This Page.